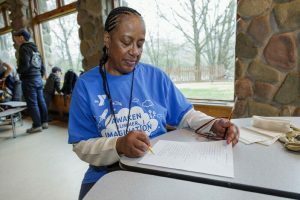 Thanks to Ready, Set, Healthy!™, a Novo Nordisk-Sponsored Program, 11 Trenton families spent Mother’s Day weekend at Frost Valley YMCA, in the Catskill Mountains of New York, enjoying a variety of indoor and outdoor activities focused on healthy eating, gardening and physical fitness. In total, 20 children and 11 adults, from two-months-old to age 67, took part in the weekend. 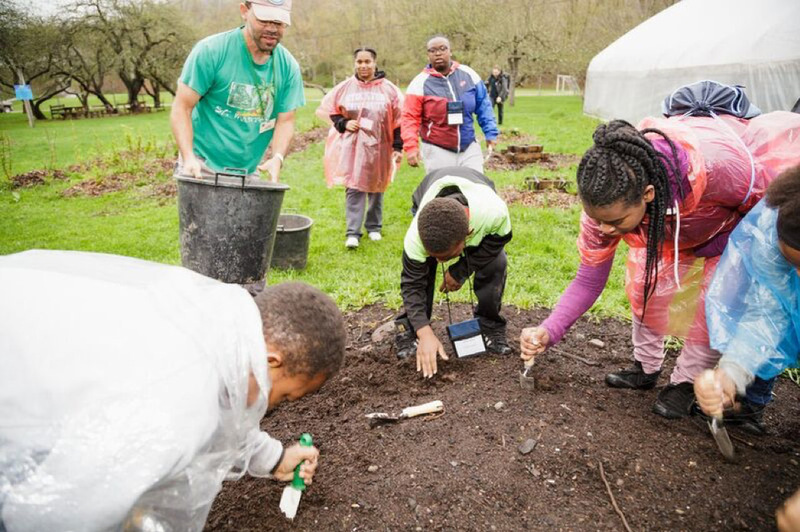 Families were hands-on in the greenhouse and garden, learning about soil conservation, composting, planting, mulching and growing. Everyone got their own flowers to plant and take home so they can watch them grow. A bit of rain could not stop the kids from riding the zipline, which towers 120 feet in the air and requires walking up three flights of stairs to the launch. Children under age eight were safely harnessed into the flying squirrel, a kind of “mini-zip line” with a lower altitude. Other outdoor adventures included boating, archery and night hikes. Indoors, families played games and showed off their karaoke skills. They also made candles and learned enough woodworking to build tic-tac-toe boards. On Saturday, adults met with Darrin Anderson, State Program Director of the NJ Partnership for Healthy Kids, to develop an action plan for their families, aimed at overcoming obstacles to healthy eating and physical activity when back at home in Trenton, NJ. The more family members with their eyes on the food, the better the chance to keep the meal healthy. Families prepared and ate healthy meals together, including chicken and broccoli marinara, minced zucchini pancakes and a healthy dessert. 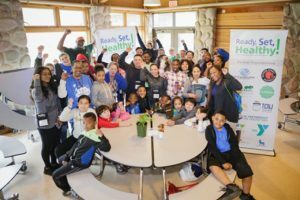 On average, each participant took 40,000 steps each day, and they all left with smiles, great memories and new sports bags equipped with pedometers, water bottles, healthy recipes, their candles and woodworking projects, and a healthy plan for action for the whole family.